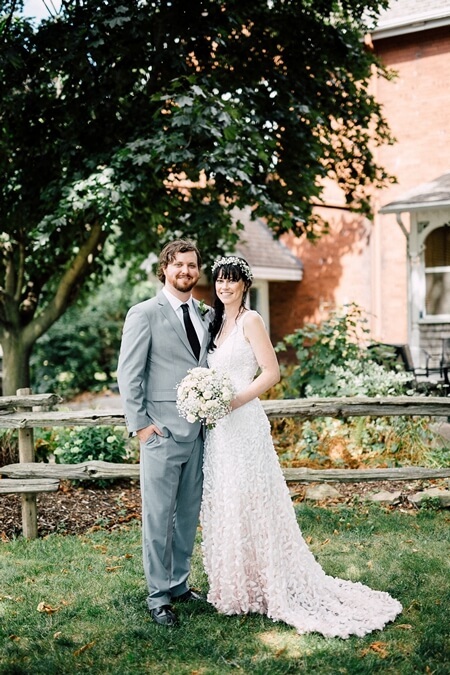 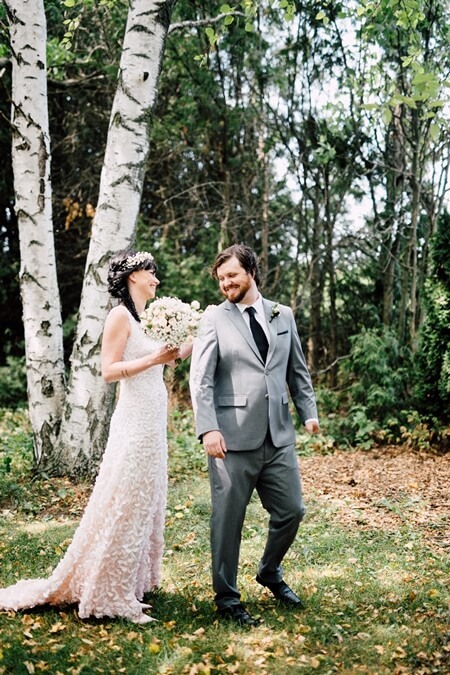 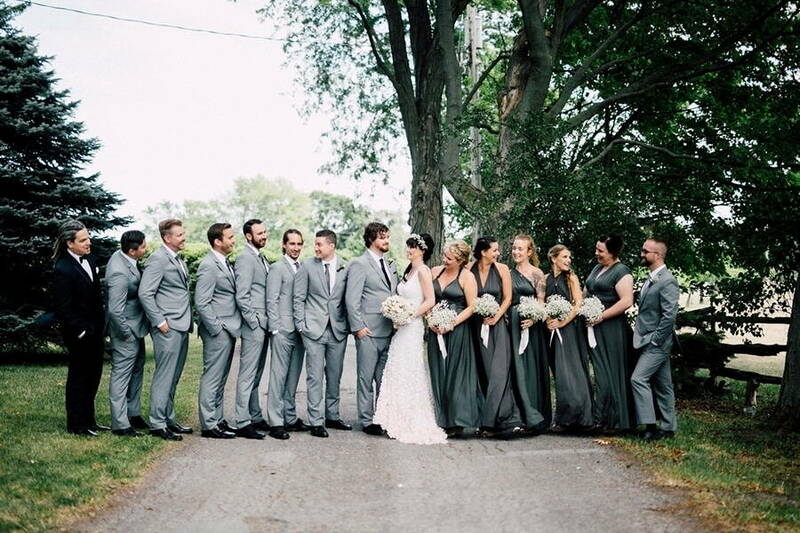 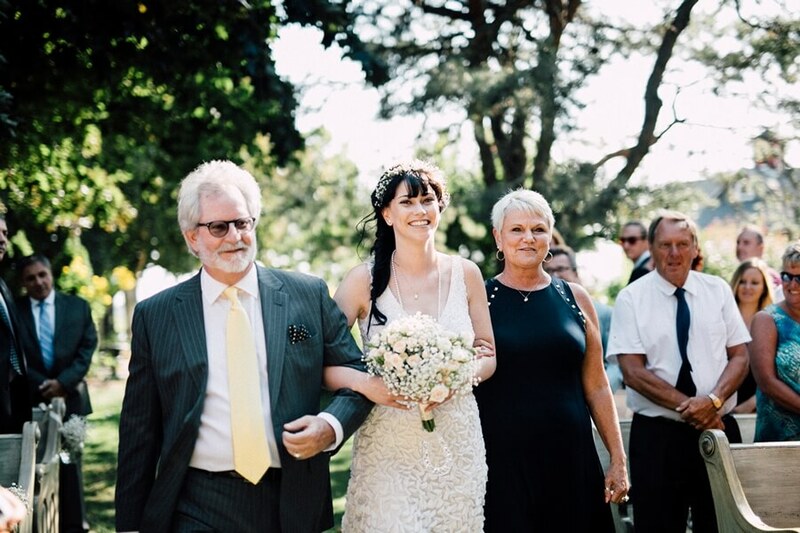 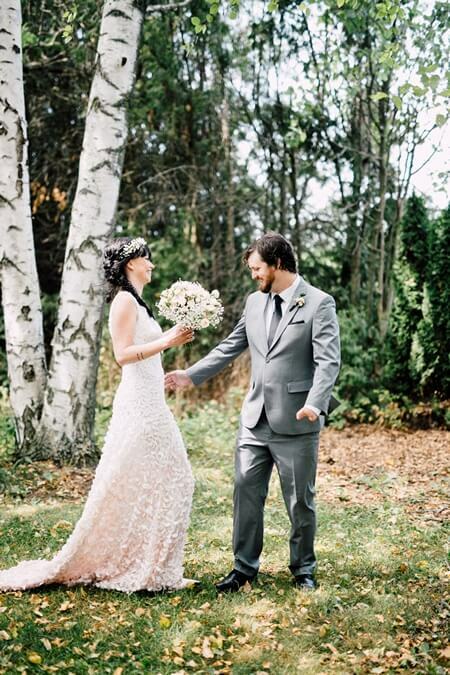 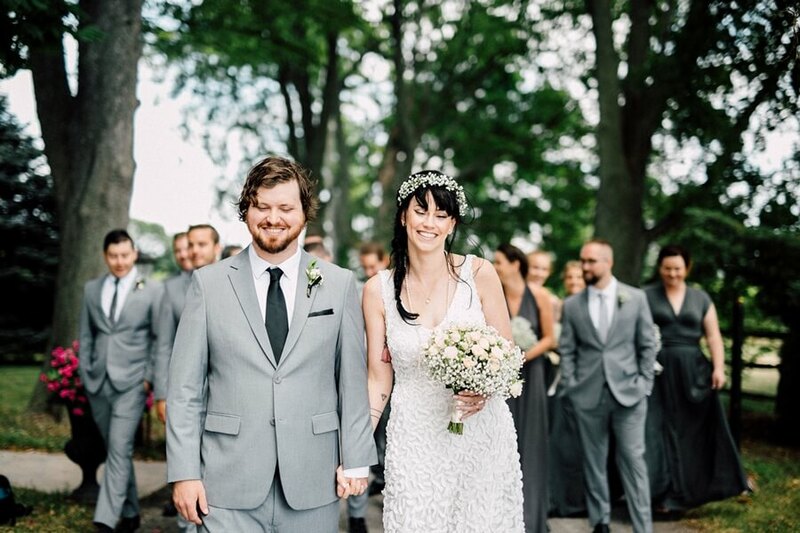 Sam and Scott, who first met in grade school and grew up as neighbours, wanted their wedding to be sweetly simple yet memorable, and ultimately a day focused around having an epic party with their family and friends. 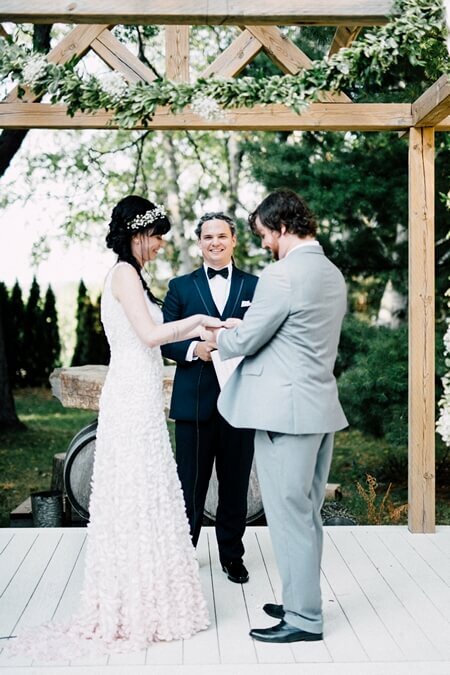 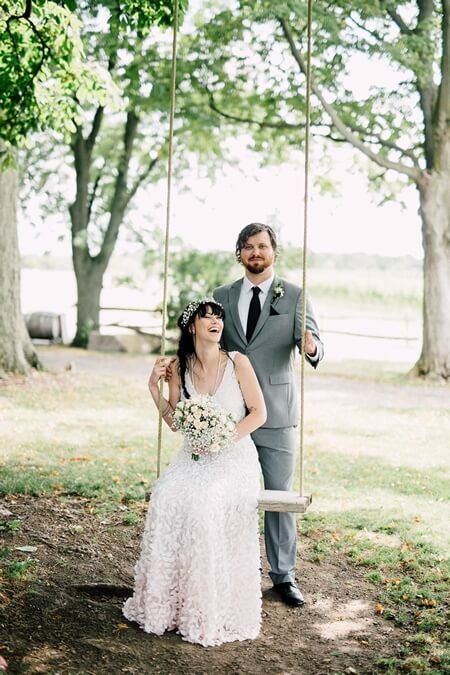 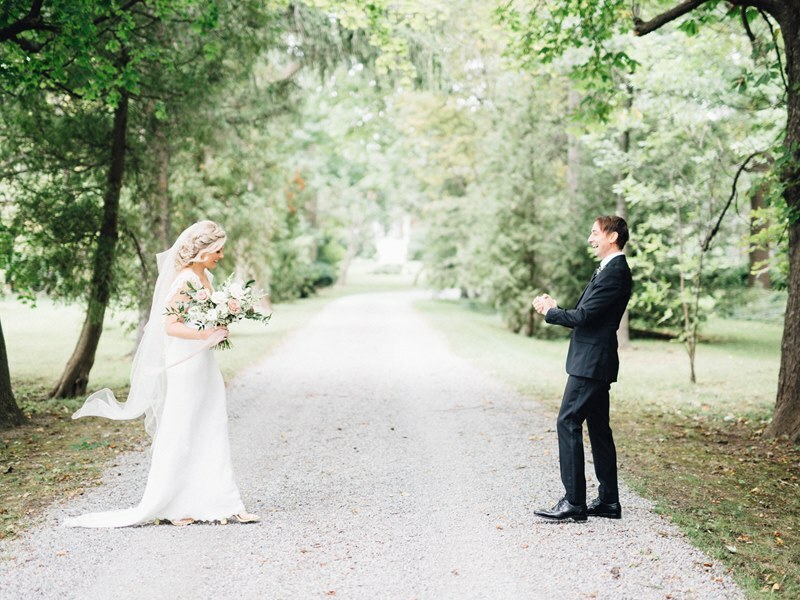 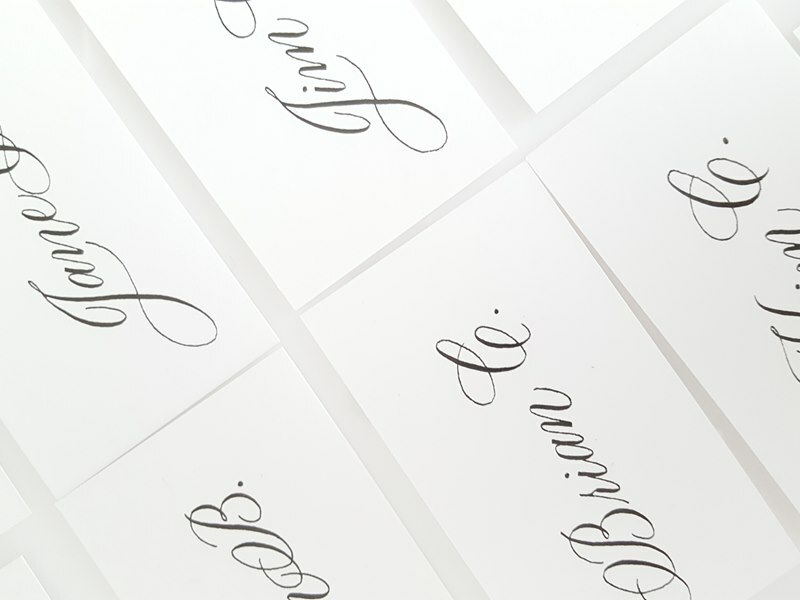 Thankfully the brilliant minds at As You Wish Weddings were able to make the couple’s wish come true with an effortlessly elegant wedding at Honsberger Estate. 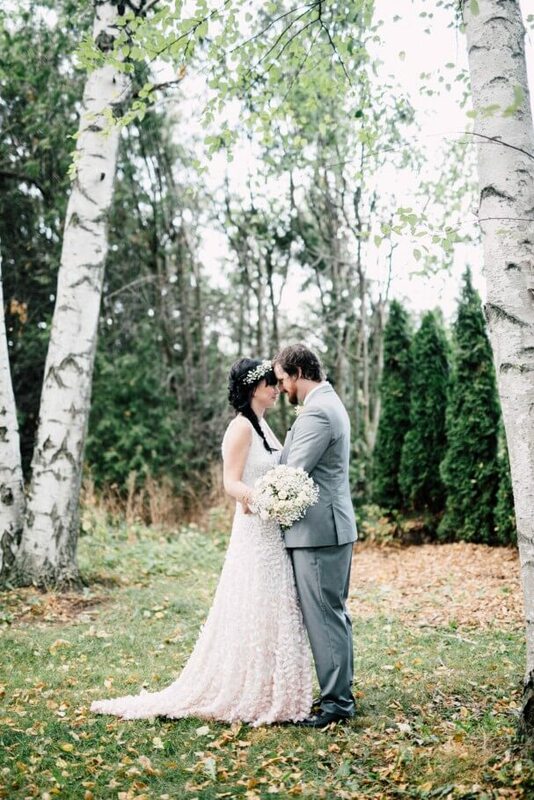 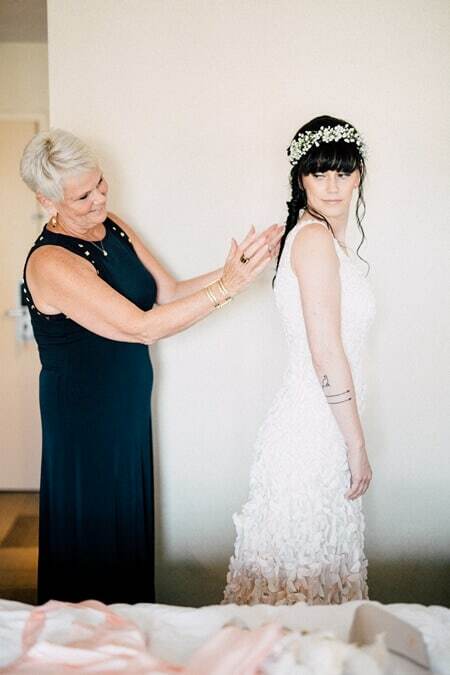 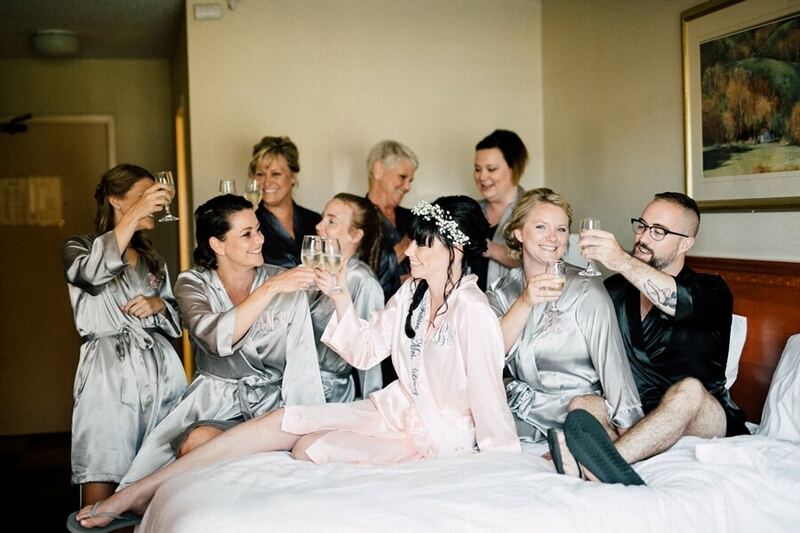 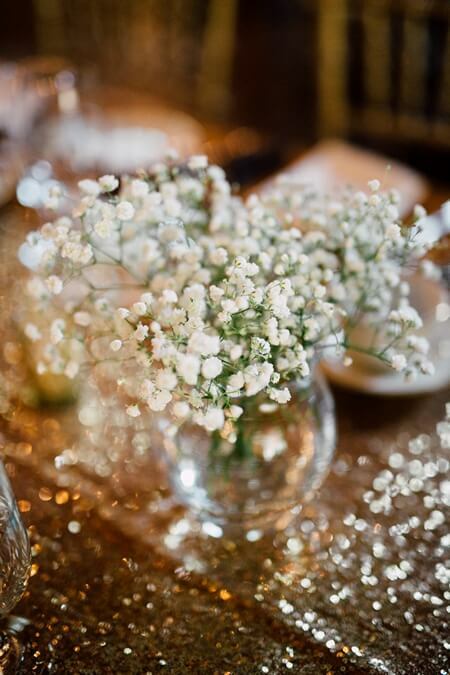 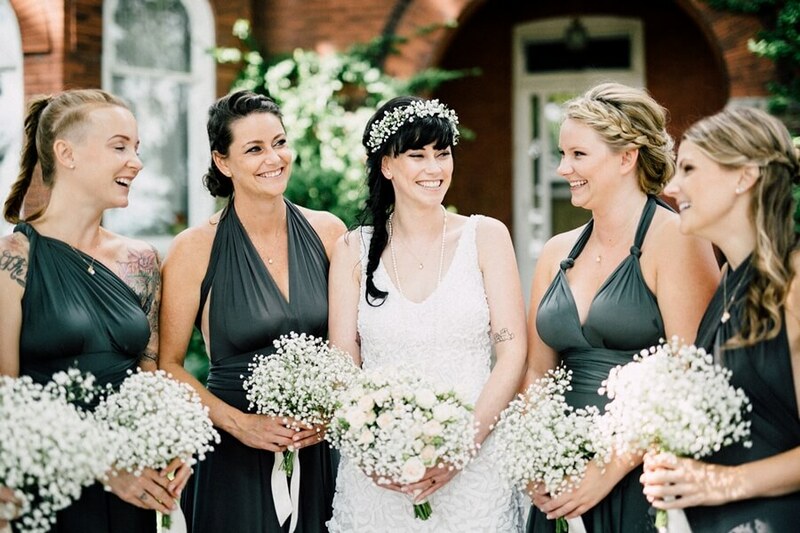 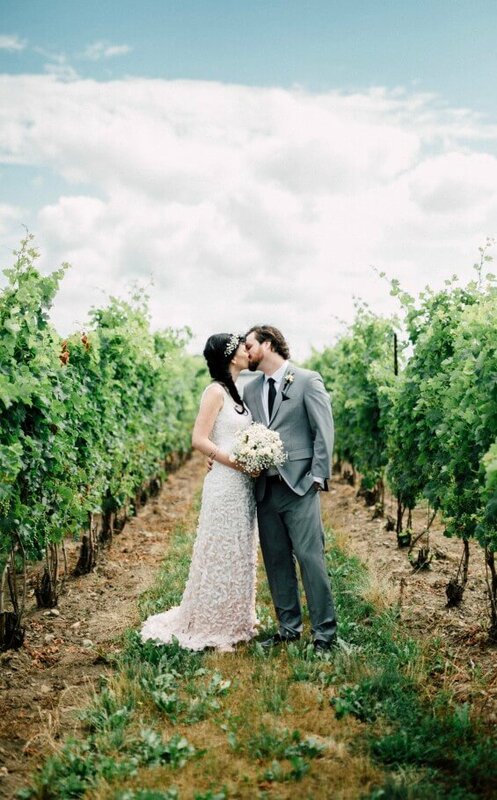 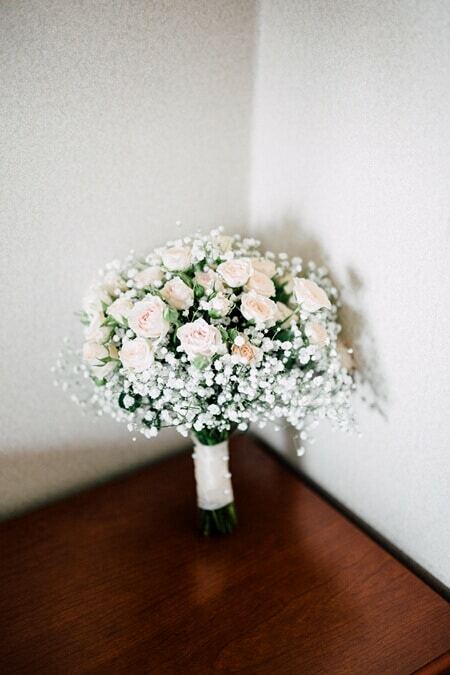 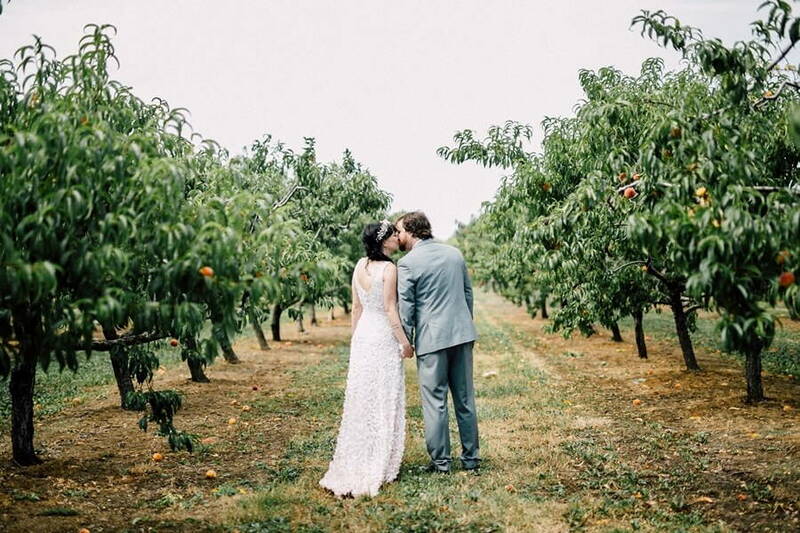 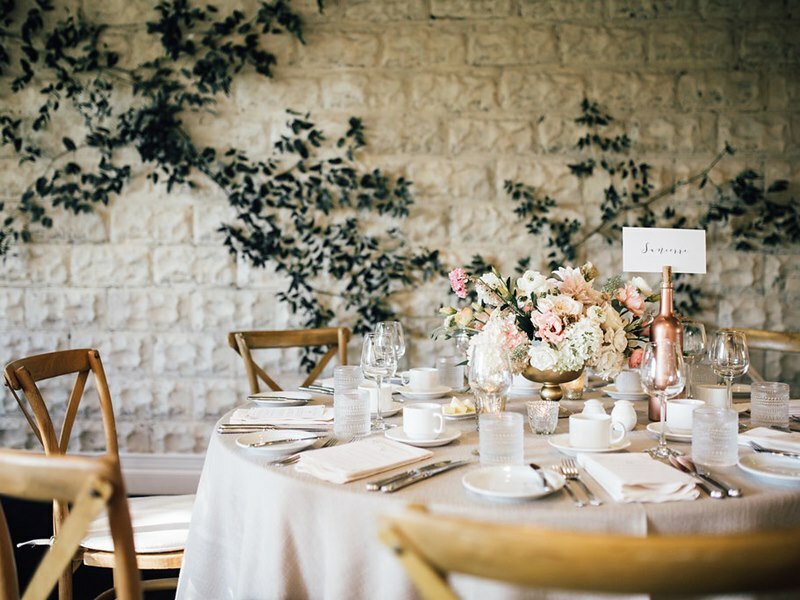 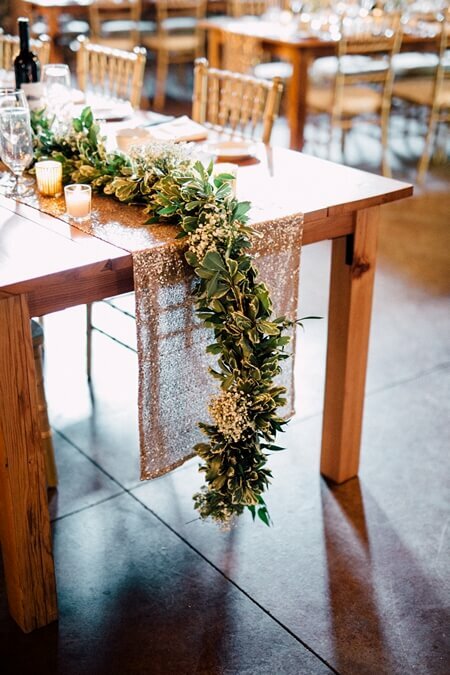 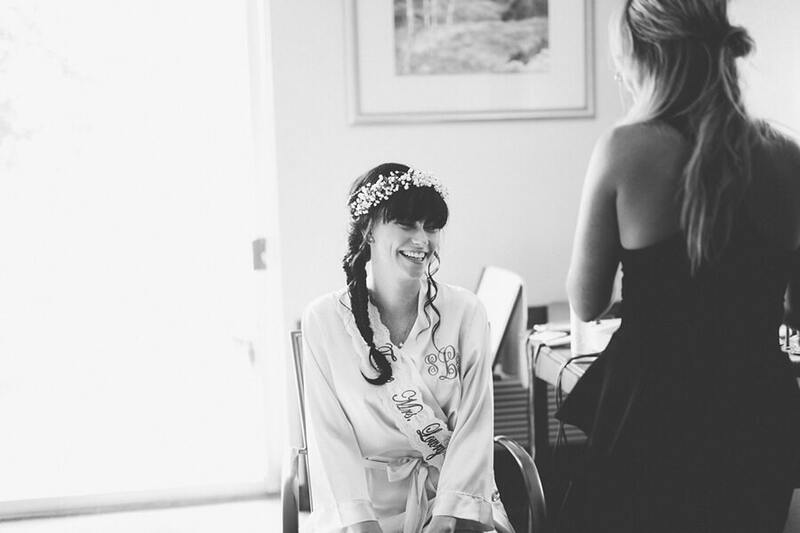 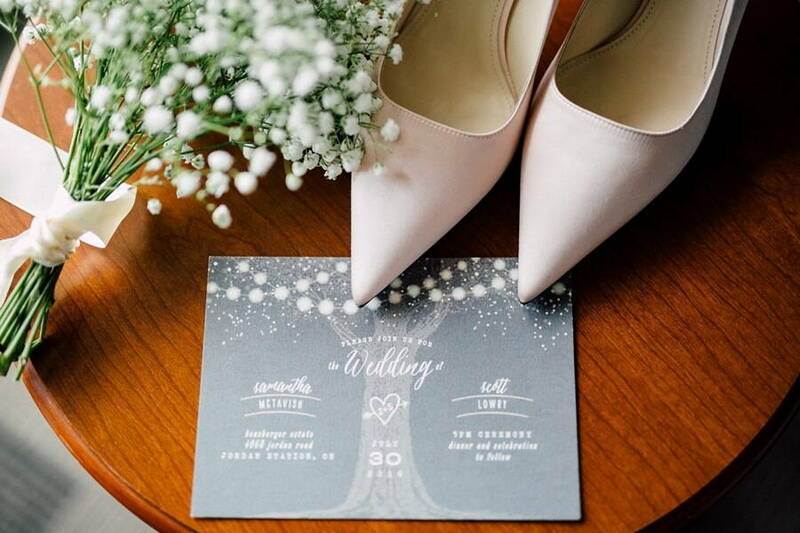 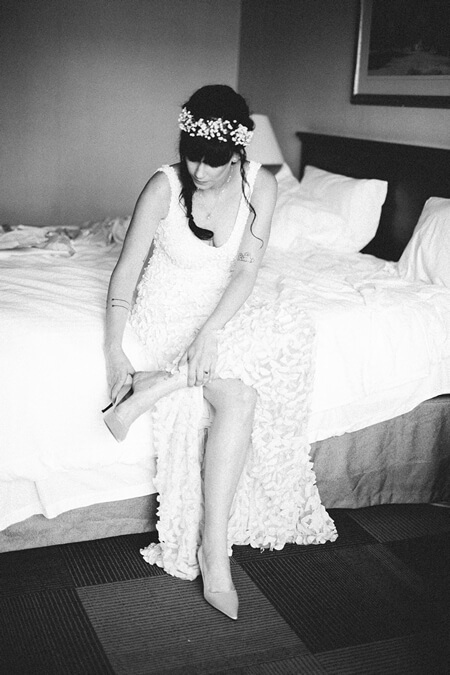 Beautifully shot by Simply Lace Photography, you’ll want to see this stunner. 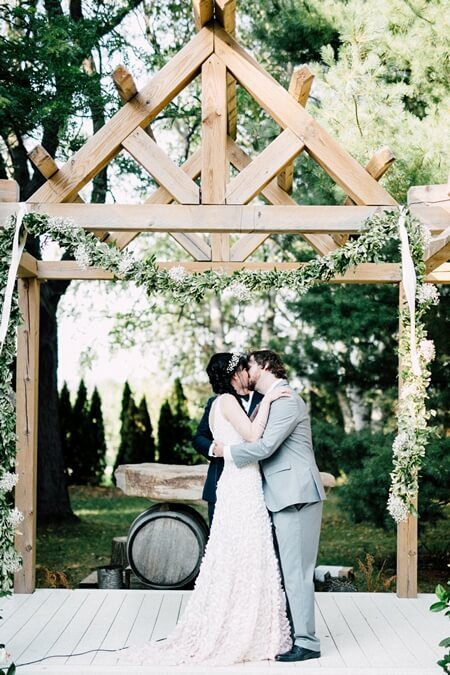 Surrounded by both their wedding party and gorgeous greenery, the couple’s romantic first look and accompanying photo session was filled with adorable moments, and, of course, lots of love. 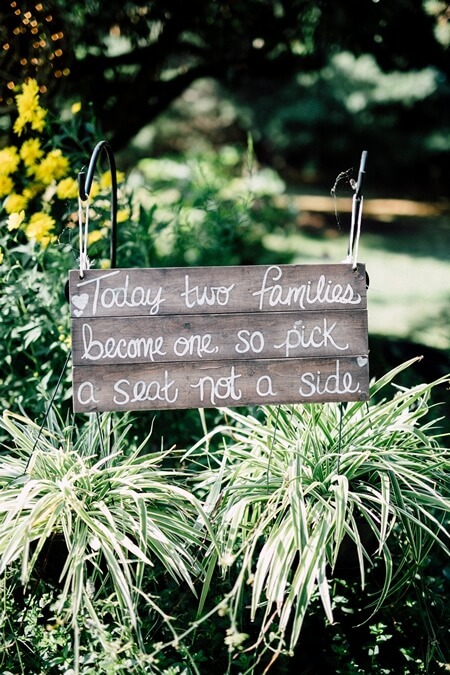 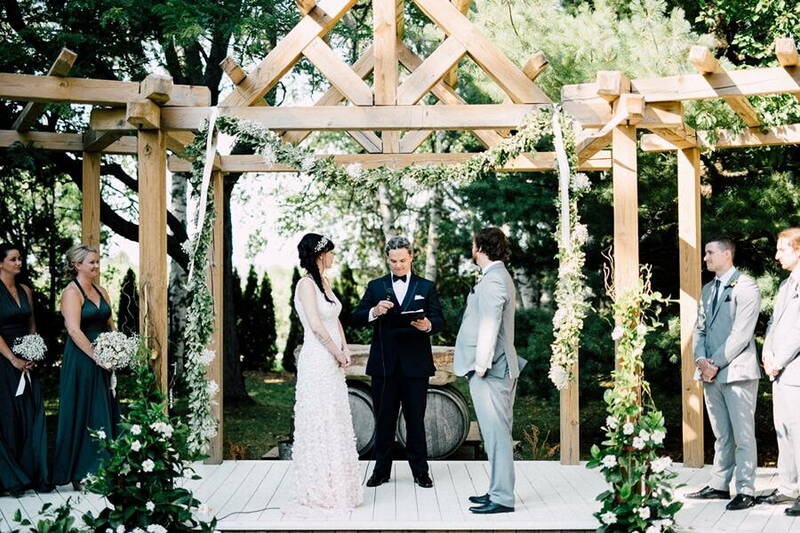 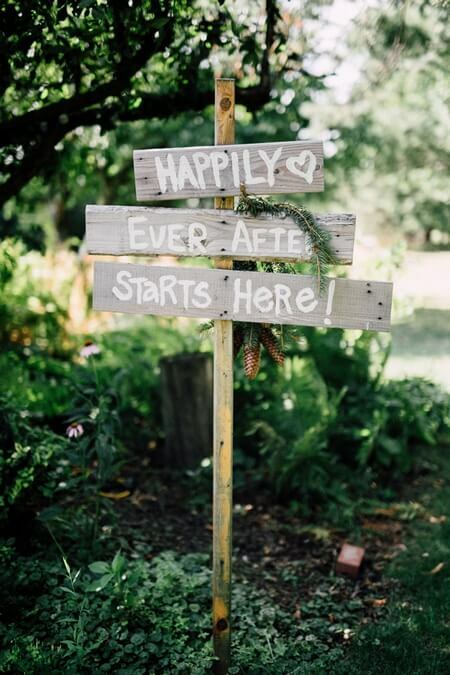 The couple exchange vows in a rustically-inspired outdoor ceremony filled with heart-felt details, including whimsical signs, a wheelbarrow and lush florals. 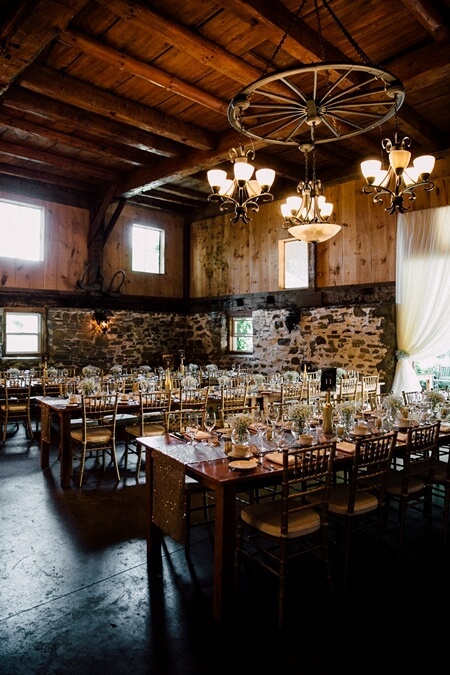 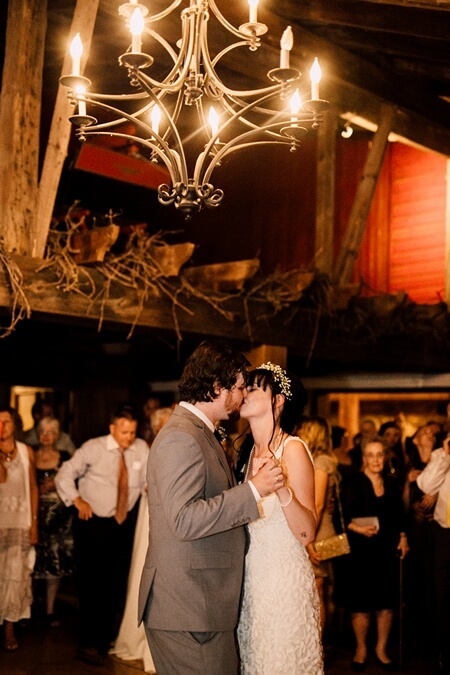 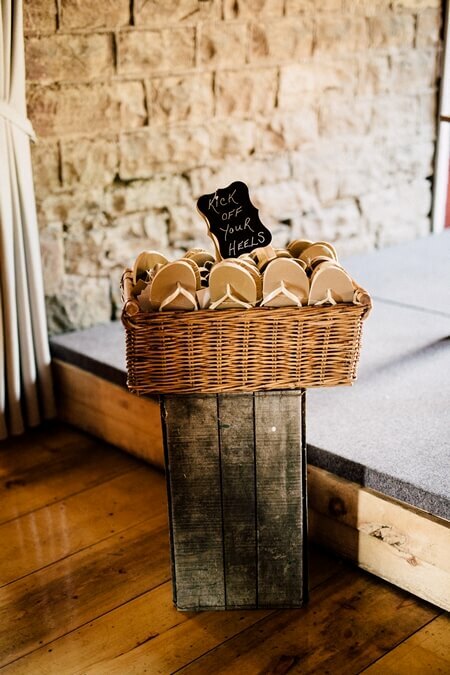 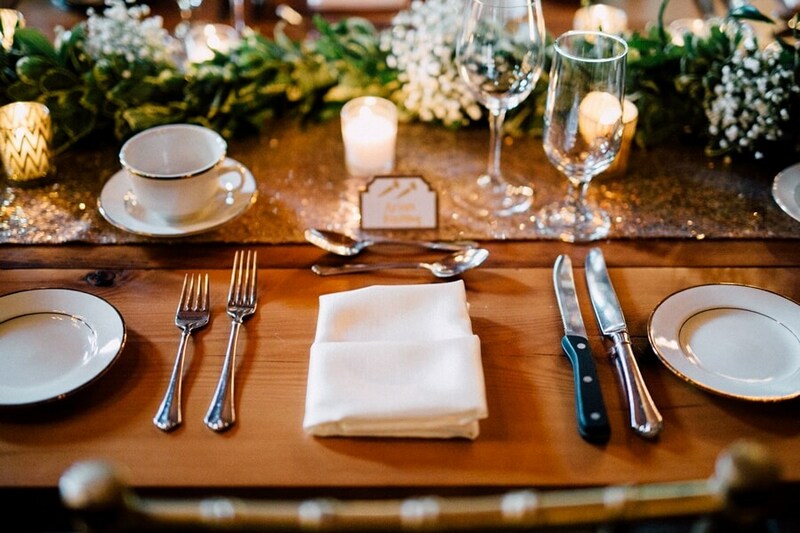 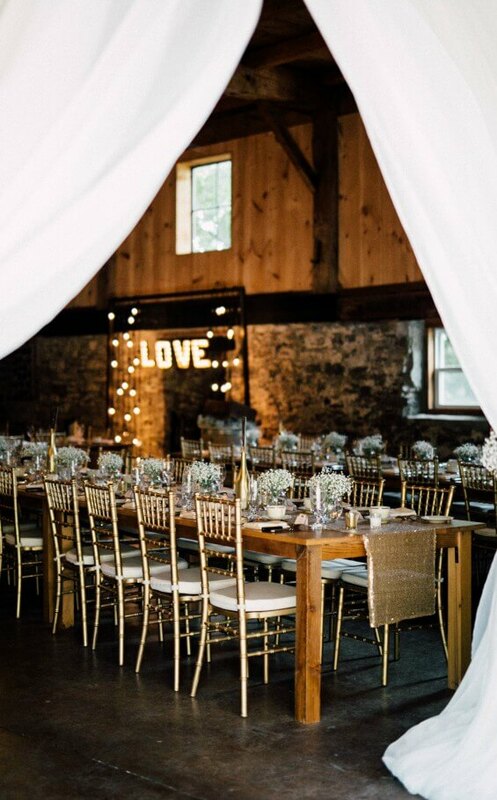 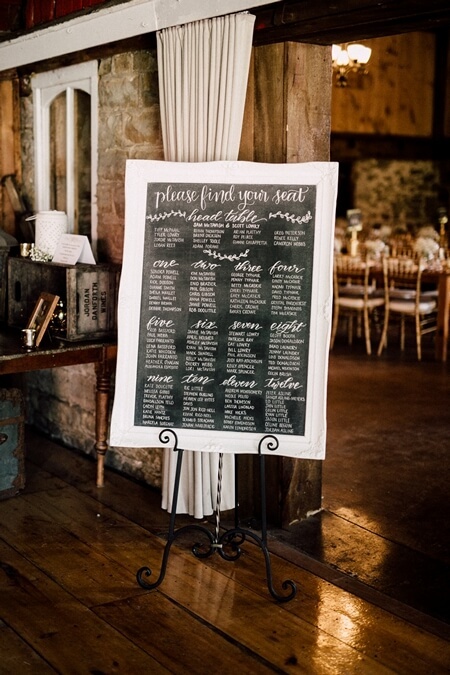 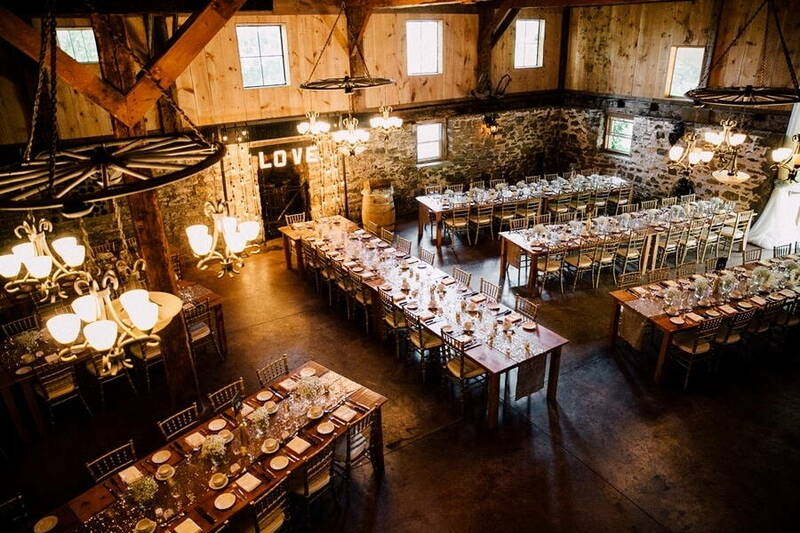 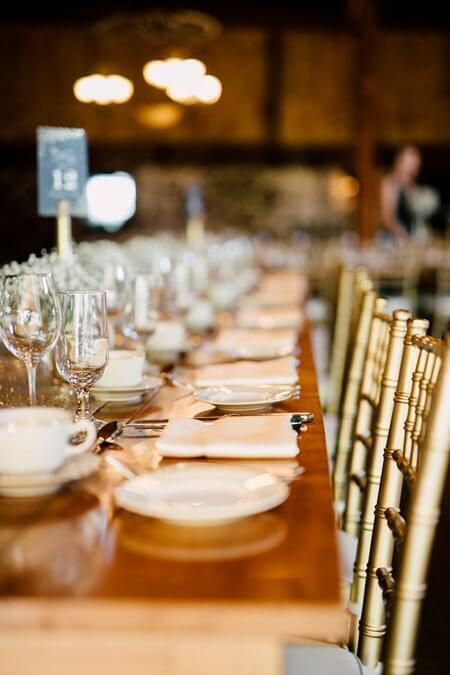 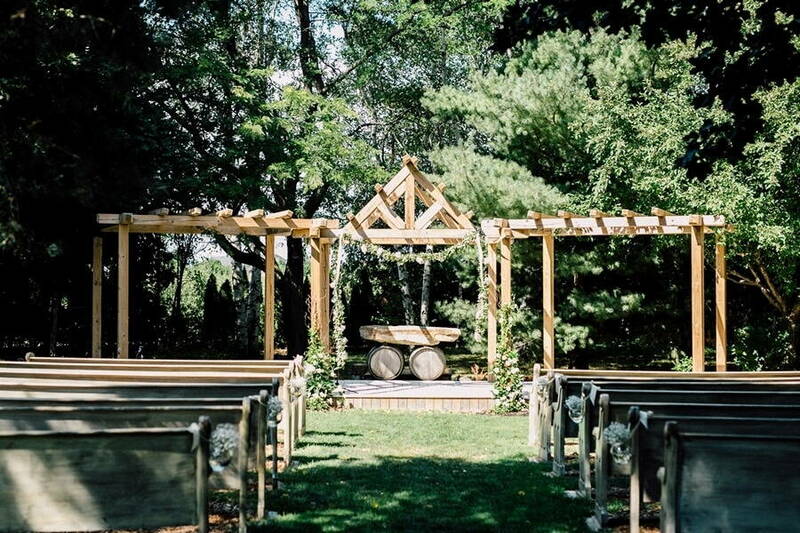 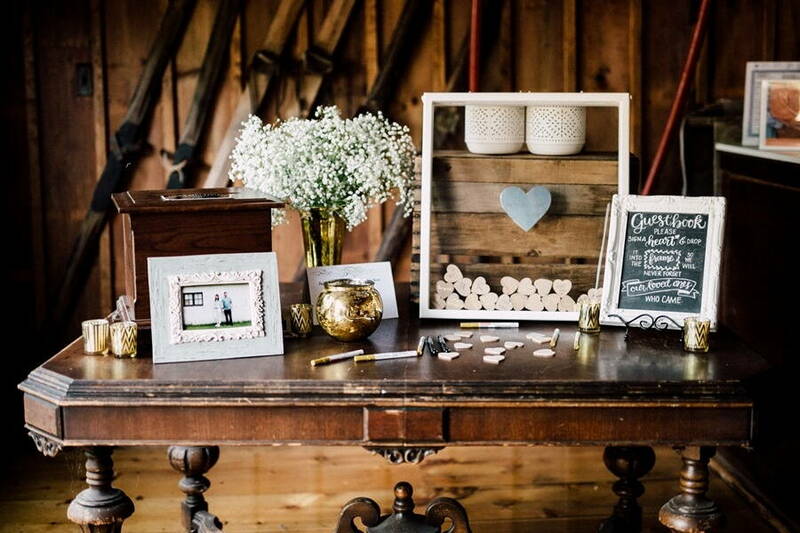 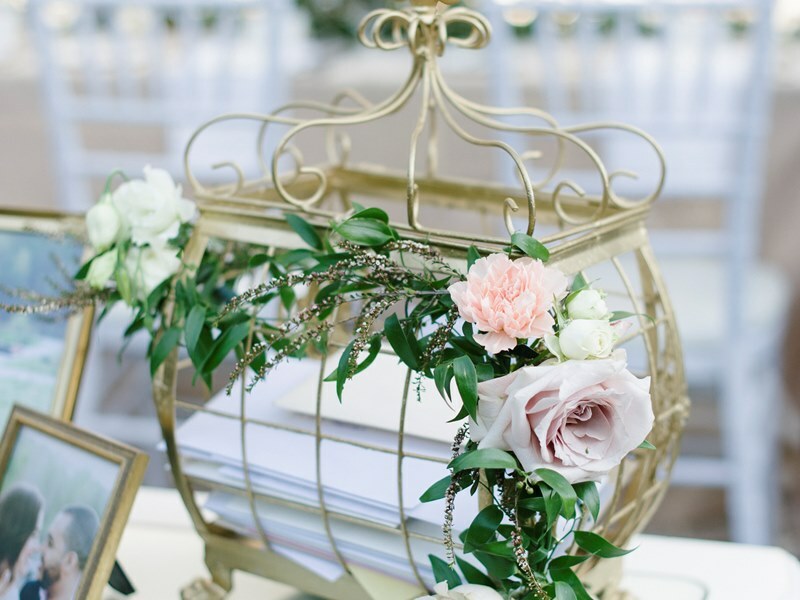 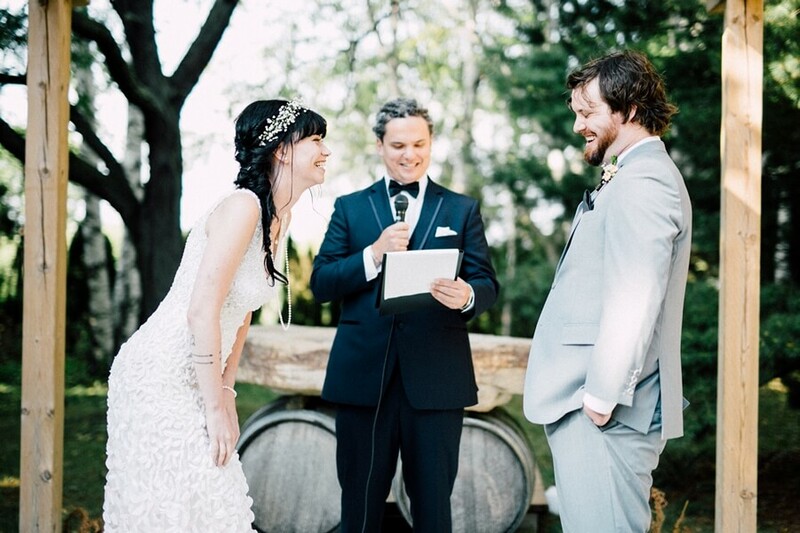 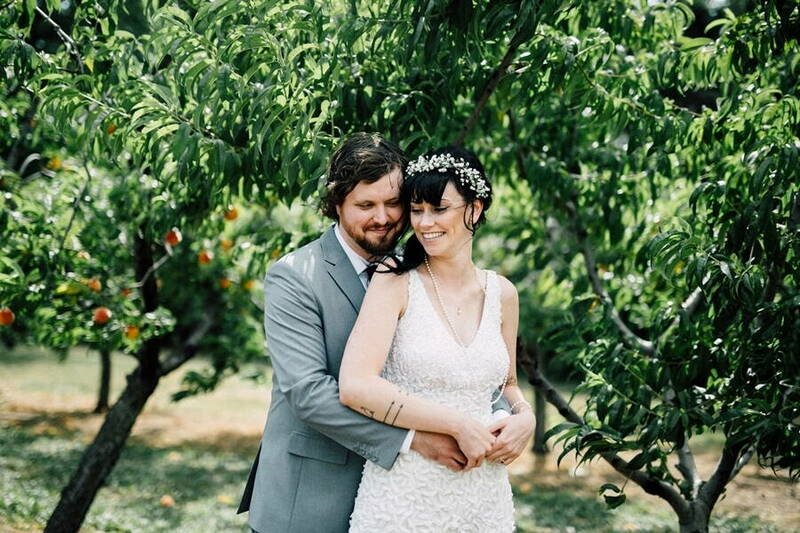 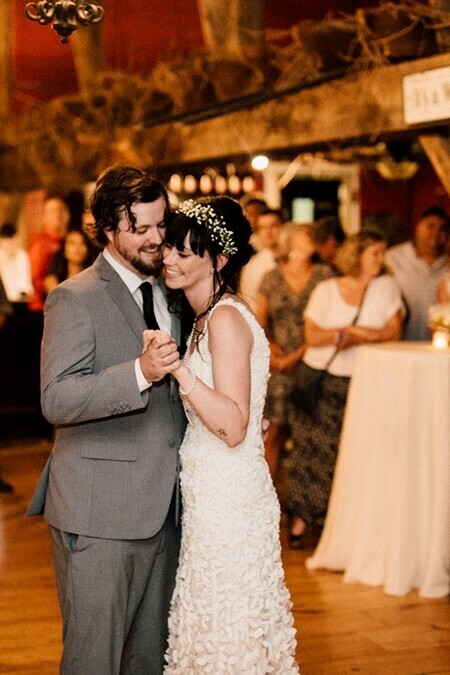 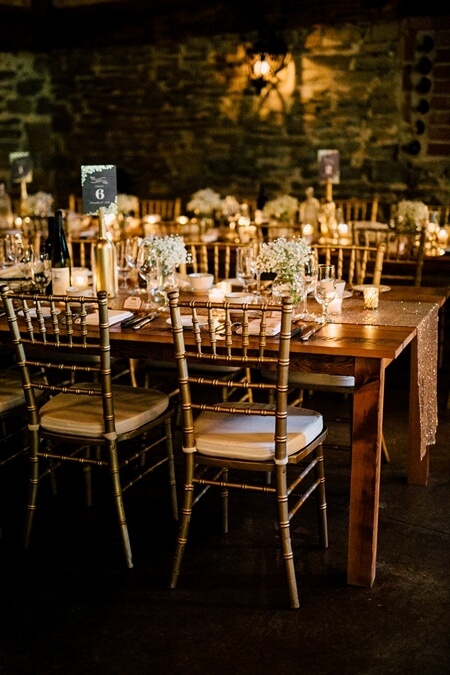 The couple’s reception is the perfect blend of romance and rustic charm. 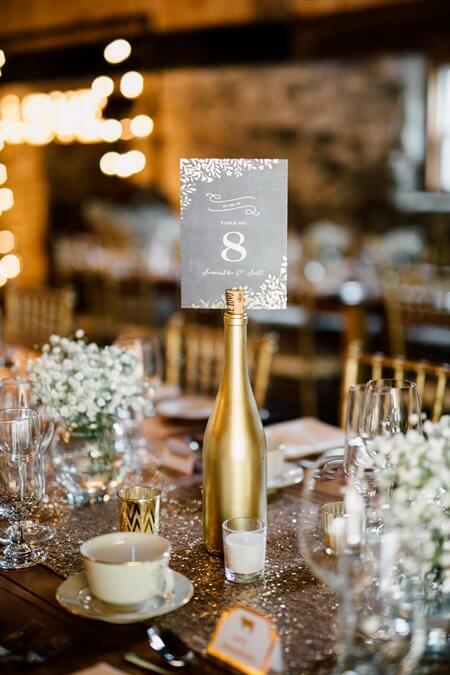 Vintage touches, including darling chalkboards from Southern Charm Vintage Rentals, beautiful florals, including delicate baby’s breath from Ooh La La Designs, gave a cozy ambiance to the barn venue, while the gold sequin runners and matching wine bottle table numbers from Simply Beautiful Decor gave a stylish hint of glam. 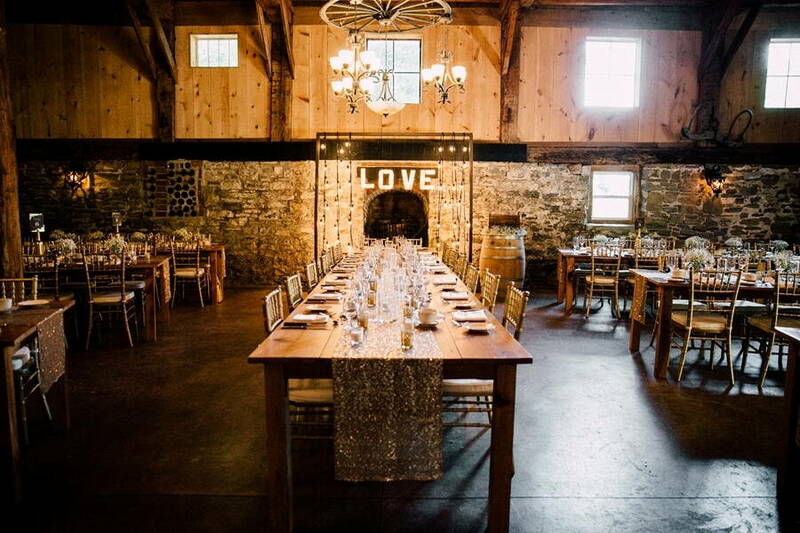 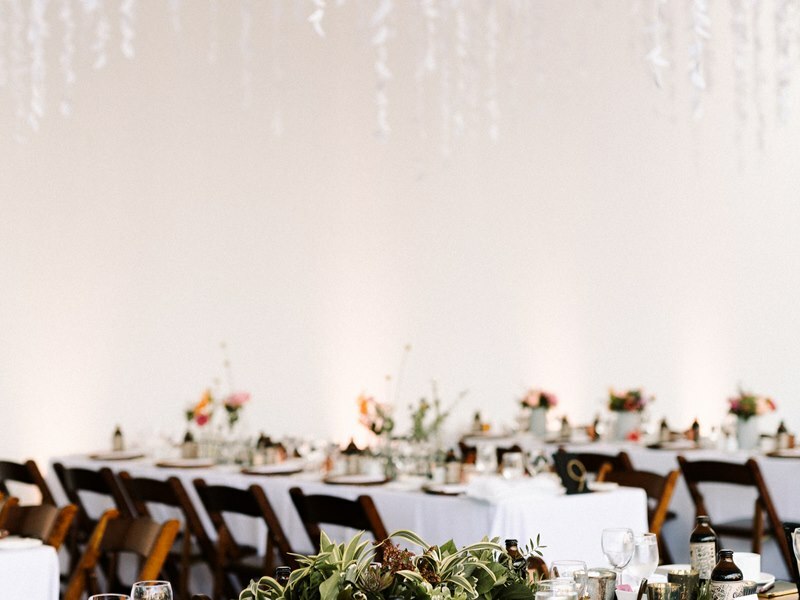 Gorgeous Edison lights, along with a hand-crafted “love” marquee specifically created for the newlyweds, framed the bride and groom, who chose to have their wedding party sit at a King’s table.